Flibbertigibbet aims to produce visual and physical theatre that will suprise, delight, entertain and provoke new audiences. A company creating new work through artistic collaboration. 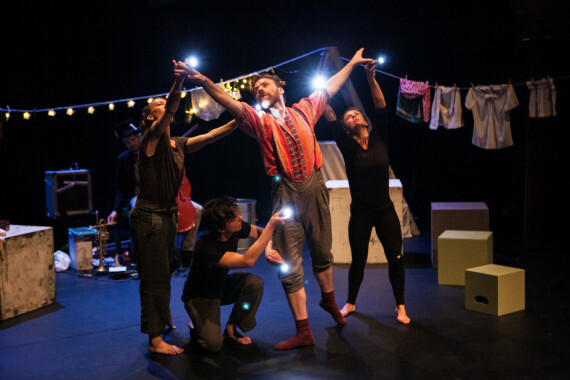 Specialists across all areas of creative practice will be encouraged to explore theatrical form and new ways to connect to audiences. Flibbertigibbet will create an environment of enquiry and exploration, opening the door to theatrical inventiveness; “Play” to make a play. Currently, Flibbertigibbet has two pieces for young people in early stages of development; HAH! (Adventures in Language and Sound) and dance theatre adaptation of the picture book Ballet Cat by Fiona Ross.